Graduation day is a roller coaster of emotions for graduates as it sparks hope for the future. It’s a moment of celebration for graduates to think big. It gives hope for far better things ahead than any they leave behind. “This is the first day of the rest of your lives” is perhaps the most common phrase we hear during yearly commencement exercises. Moving on to the next phase of our lives is a reason to celebrate, and what better way to rejoice this new chapter than celebrating with the family. Indeed, graduation season is another opportunity to bring family and friends together to be thankful – and of course to have a feast. For the past 50 Golden Years, Goldilocks has been the go-to partner in bringing us their signature comfort food and best-loved cakes. For this new chapter in your family’s life, Goldilocks once again fills your day and stomach with happiness through its Gradfeast Meals. 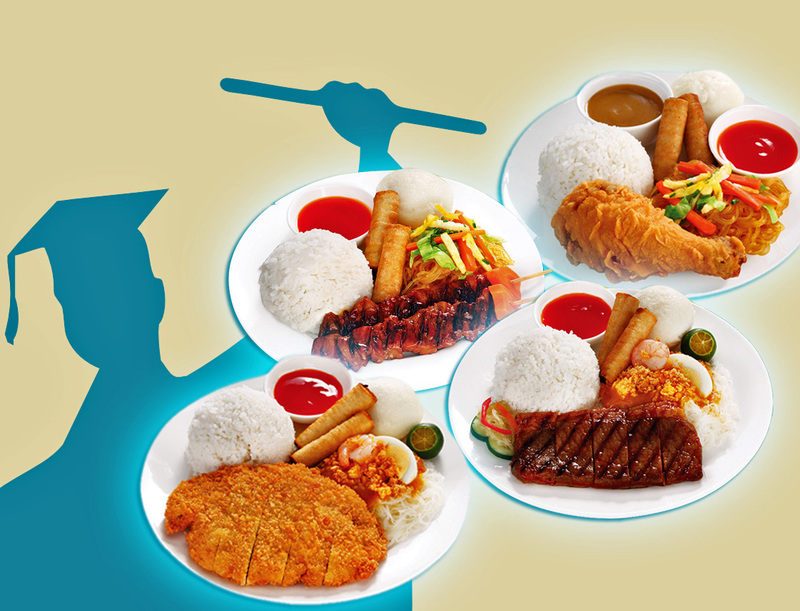 Choose between four delicious variants of Gradfeast meals packed with a selection of Goldilocks Foodshop best-sellers including Palabok, Breaded Porkchop, and Chicken Tenders, which are all served with Goldilocks’ Lumpiang Shanghai and classic Puto. For only P165.00, you get value meals and valued time with family and friends. In addition, when you order a minimum of 4 Gradfeast meals, you get a P50.00 discount when you buy a classic Goldilocks Mocha Caramel Cake Roll.